Here's the thing about diaper bags: They're not really necessary. Yeah, that's right, I said it. I'm a mom of four kids and I don't think diaper bags are really necessary. Let's hear the shocked gasps all around. 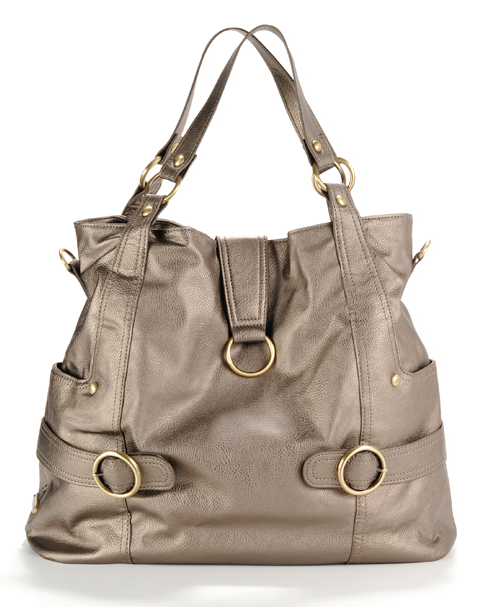 But really, what does a diaper bag have that a normal purse doesn't have? A few extra pockets? Maybe a cool changing pad? I don't get it. There's just no reason why diaper bags have to look so much like the smelly items they often hold — or scream, "I'm a mom and I have nothing left of my own in life!" 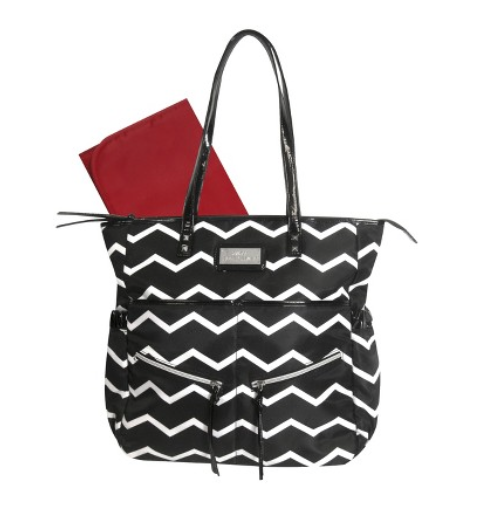 Honestly, I've owned one official, totally cheesy-looking diaper bag in my life, and it was a total waste of money. Not only did it fall apart, but my husband refused to carry it anywhere (how rude) and even I was so ashamed of it that I took to "accidentally" forgetting it everywhere we went so I was left stranded with a poopy kid and no wet wipes — and that's a place no one wants to be. Here's the gold you were looking for. 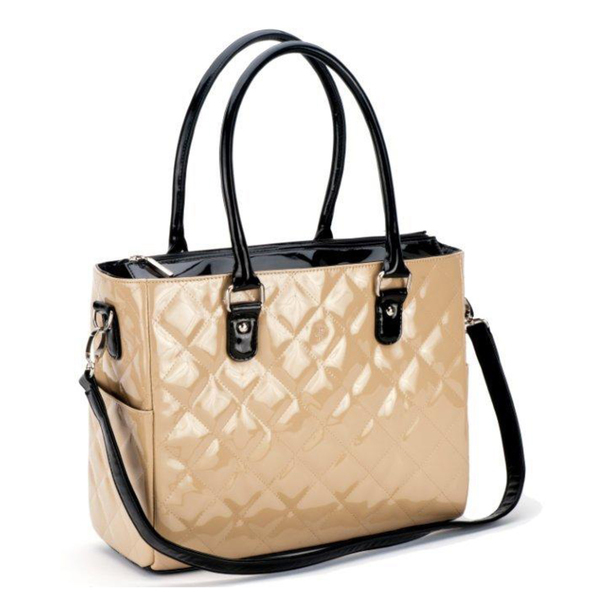 And maybe it's the fact that this bag has both the word "grace" and "gold" in its title, but I just can't help thinking that it's really a classic beauty. Regal, even. This little gem from Lily Jade contains a removable patent-pending baby bag organizer, a convenience pouch for your essentials that can't get lost in the crowd (hello cell phone and keys) and a changing pad. Oh, and you can use the code SHEKNOWS20 until 2/28/15 to purchase a second baby bag organizer, perfect for the car, stroller or Grandma's house. (Lily Jade, $145). Dang. 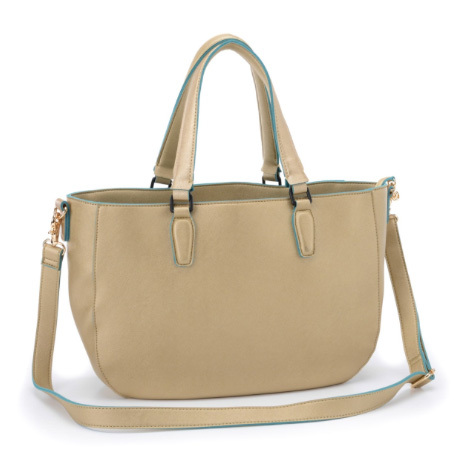 The JP Lizzy Classic Crema Patent Diaper Bag totally makes it look like you should be jetting off to important meetings around the world instead of wiping crap off of another human being. Well, played diaper bag, well played. (Overstock, $98). 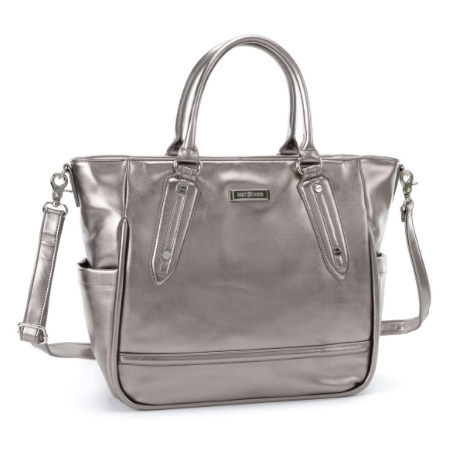 The Hannah Diaper Bag Tote by timi & leslie in pewter has all the mom essentials, with tons of pocket space, a changing pad, a "pouchette" for keys and what not and perhaps my favorite feature — an insulated bottle holder with a clip-on handle. Genius. (BlissDiaperBags.com, $154). There's nothing about this diaper bag that says motherhood has cramped your style, but I love that it has a body that is beautiful and practical — that shiny smooth surface also is super durable and completely wipeable to take any hits your kids can throw at it. Kind of like your new mom body? The outside of this bag has my two must-haves in a diaper bag with convenient side pockets and the inside has even more zippered pockets and a removable, washable baby bag organizer and changing pad. Sleek and sneaky. Use the code SHEKNOWS20 until 2/28/15 to purchase a second baby bag organizer. (Lily Jade, $150). I'm a big believer in simplifying the diaper bag. Gone are the days when I tried to cram everything in my house and more into the diaper bag. These days, more is more when it comes to my number of children but less is more when it comes to the amount of stuff in my diaper bag. That makes sense, right? 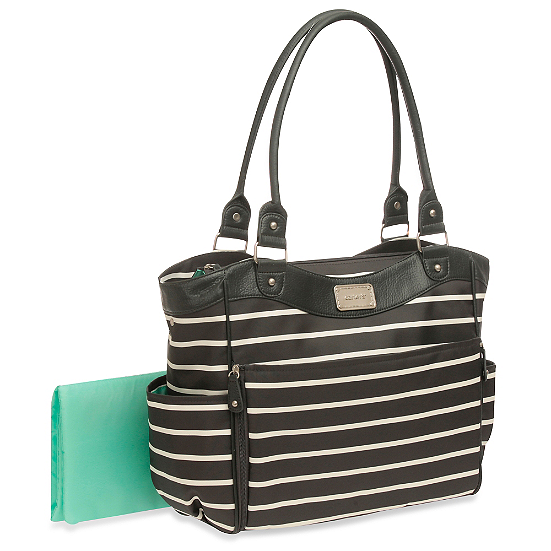 Which is why I'm all about the simplicity of this (super-affordable) striped bag from — where else? Target, of course. (Target, $35). Just looking at this diaper bag makes me feel cooler. I mean, really. This stylish bag features stroller straps so you can hang the bag within easy reach while strolling (so necessary), a dirty clothes sack for those diaper blowouts, a dust bag for traveling and a convertible cross-body strap for hands-free use. (Luggage Pros, $160). Ok, you see that little front zipper on this thing? Get this — it folds down into an instant diaper changing station. So. Cool. And at this price, I honestly thought I had clicked on the wrong item. But it really is that great of a price. (Bed Bath & Beyond, $40). 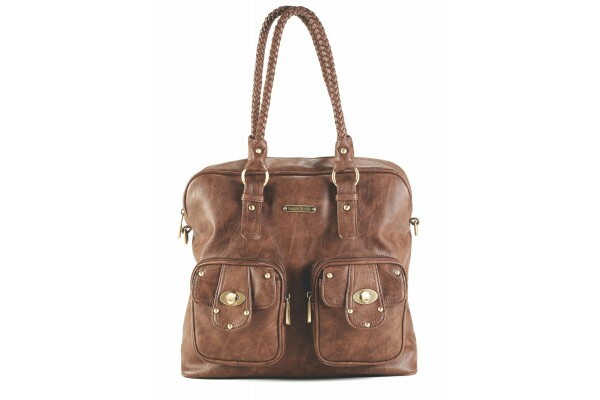 Who says diaper bags have to be all neutral? This number adds a fun splash of color without being too overpowering. 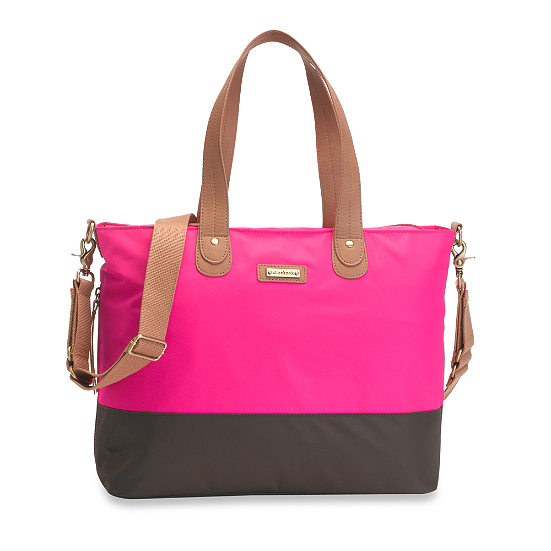 The Storksak Tote in hot pink has all the pockets you need, chunky hardware and an insulated bottle holder. Bam. (buybuy Baby, $132).